NOTE: Lowering the motorcycle will reduce ground and cornering clearance. NOTE: Before purchasing or attempting to install shocks that are different than the OEM length, confirm that your wheel travel can be altered without causing clearance issues such as swingarm/axle to exhaust contact, as well as chain/belt guard or tire contact. NOTE: OEM upper shock mount covers will not fit with these shocks. NOTE: Not for use with rear lowering kits. 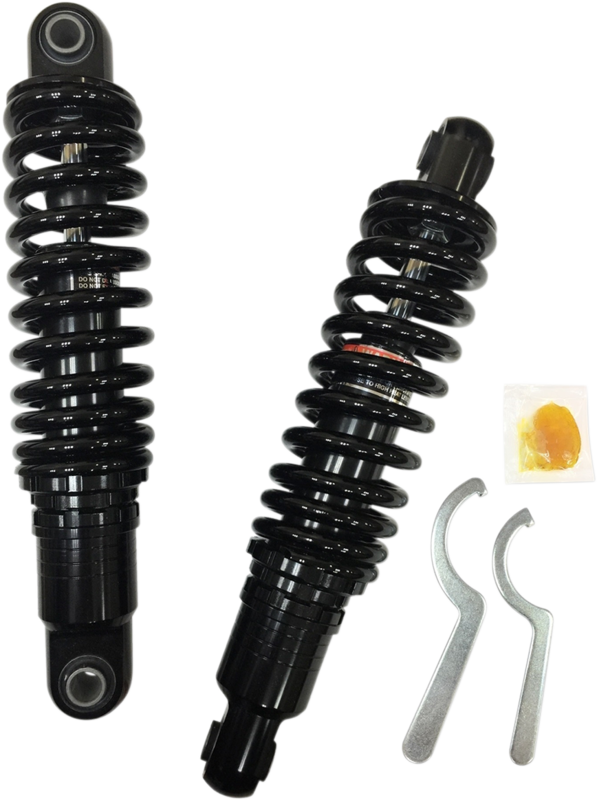 NOTE: Shocks shorter than OEM length have reduced travel, this may affect the ride quality and handling of the motorcycle.